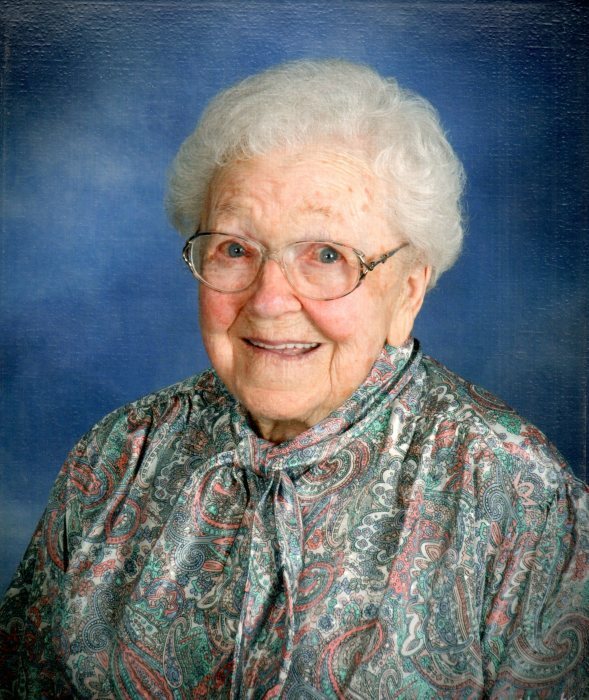 Ruth Claire Hauri, 99, of Connersville, passed away Monday afternoon, September 3, 2018, at the home of her son in Norman, Indiana. One of seven children of Henry J. and Margaret Wiwi Eckerle, Ruth was born in Franklin County, Indiana on June 26, 1919. On June 17, 1940, Ruth married Joseph A. Hauri in Brookville, Indiana. Mr. Hauri passed away on April 18, 1994. Ruth was a member of St. Gabriel Catholic Church. A homemaker, she enjoyed cooking and spending time with her family, especially her grandchildren. In her leisure time, Ruth enjoyed playing cards. Survivors include three sons, Francis Gene (Patty) Hauri and Richard (Deanna) Hauri, all of Connersville and Melvin Hauri of Norman, Indiana; nineteen grandchildren; thirty-two great-grandchildren; and nine great-great-grandchildren. In addition to her parents and husband, Ruth was preceded in death by three daughters, Barbara Brandenburg, Marilyn Rose, and Josephine Gossett; two granddaughters, Jennifer Renee Hauri and Jeanie Lynn Hauri; a grandson, Edwin Charles Reisert; six siblings, Martha Laker, Carl Eckerle, Otto Eckerle, Kathryn Linkle, William Eckerle, and Rose Wagner. The Mass of Christian burial will be celebrated by Reverend Dustin Boehm at 11:00 a.m. on Friday, September 7, 2018, at St. Gabriel Catholic Church. Burial will follow in Dale Cemetery. A rosary will be recited at 3:30 p.m. with visitation to follow until 8:00 p.m. on Thursday, September 6, 2018, at Miller, Moster, Robbins Funeral Home. Memorial contributions may be made to St. Gabriel School Endowment Fund, and online condolences can be made anytime at millermosterrobbins.com.